Looks delicious and only 100 calories?! Sign me up! Loving your photos and added texts!! I’m in the exact same situation! NO natural light and my house was born in 1964! 😉 Your popsicles remind me of the fudgesicles I used to buy. Yum! These are awesome, Deanna! 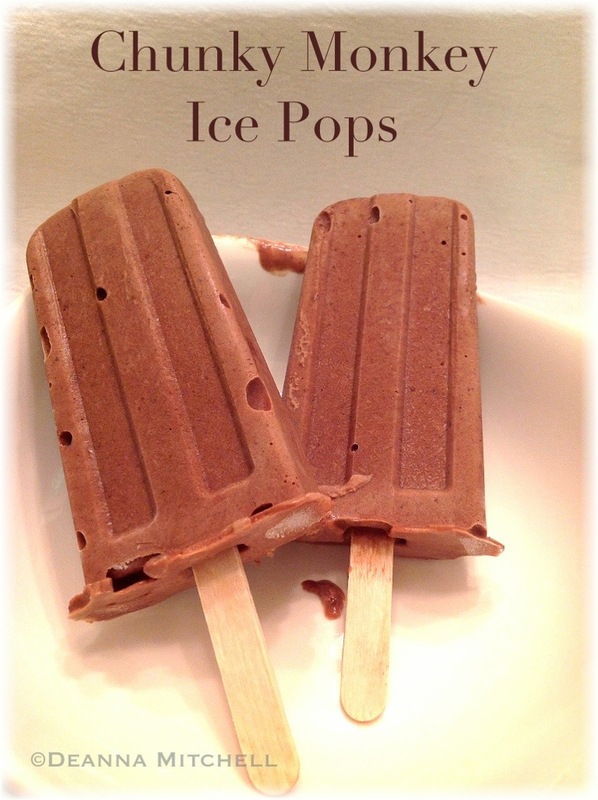 Loving the cool summer treat recipes– you are becoming quite the popsicle pro!